Control 7, Inc. is committed to an on going process of continual improvement to provide the highest level of quality and satisfaction to our customers. 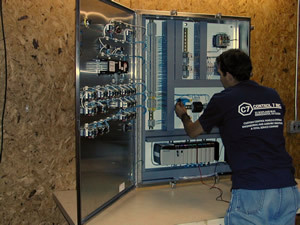 All wiring is checked for continuity to ensure the system is wired to the project drawings. Control panels are checked for conformity to U.L. 508A and receive a U.L. sticker if compliant. Control 7, Inc. will tailor our Q.C. procedure to meet your specific requirements. At Control 7, Quality is each workers responsibility. After the Control 7, Inc. Inspection is complete, we can set up your system for a Factory Acceptance Test for you and your customer at our facility. International Society for Automation – ISA is globally recognized as a standards writing organization that is setting the standard for automation by helping over 300,000 worldwide members solve difficult technical problems. International Society for Pharmaceutical Engineering – ISPE is the worlds largest not for profit society serving pharmaceutical manufacturing professionals.